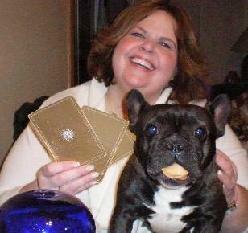 November 19th, PSYCHIC PANEL – Where can you get 3 readings in 1—all for a love donation? At this popular event! Come early and snag a good seat to hear Jim Schultz, an Intuitive specializing in after-death communication; JoAnn Seckus, Card Reader & Intuitive; and Philip Clark, Numerologist. This class usually runs long to 11am as we try to accommodate all questions from the audience. Bring a friend. 16 W. 501 Nielson Ln, Willowbrook, IL 60527. The dictionary defines pendulum as an object attached to a pivot point so it can swing freely & is subject to a restoring force that will accelerate it toward an equilibrium position. What if this force is your subconscious? Join me to learn how to make & use a pendulum or divination tool to communicate with your higher self, give you spiritual truth, and program it to work with some basic charts you create. 11:30 a.m.-1 p.m. Workshop to follow earlier session. WORKSHOP: Using a Pendulum. _ Save your space today! Empower Radio - JoAnn has been chosen as the "Pet Psychic" on the Maria Shaw Radio Show heard nationally 11am to 2pm CST (12pm to 3pm EST) Monday through Friday. You can e-mail me your question, and I will answer it on the air ! Listen for your answer or leave your number and we can call you. Or you can all in anytime with any question !